Preface: I just finished watching “Rounders” on Netflix, so you can bet this post is going to be flush full of poker & card metaphors. That’s my play, no kicker, just an exposed hand. Jokers & wilds have no place here. If you want to fold now, please feel free to do so; there’s no rathole midway thru the game. I haven’t blogged but twice this year & feel like I owe all of my friends a hearty “you’re welcome” for not taking up your precious time noodling around on other, similarly irrelevant, blogs and websites. But alas, you’re at the table now, so let’s deal..
Don't be jealous of that run belt.. 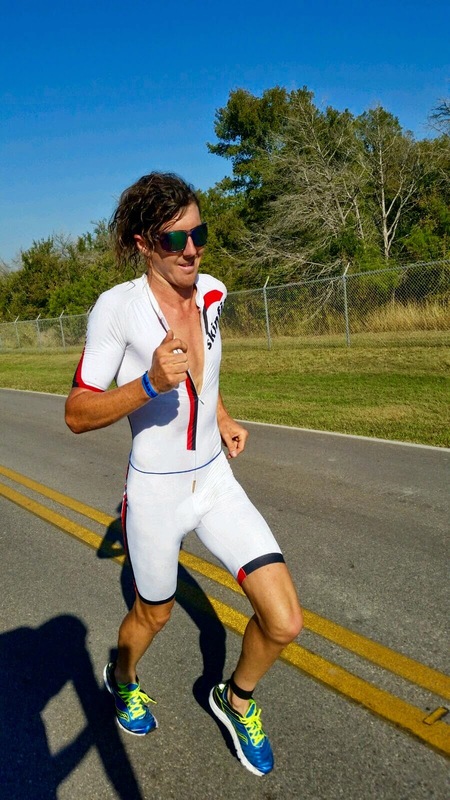 If the success of my rookie season as a professional triathlete was a song, it’d be exactly like Bohemian Rhapsody by Queen. Starting off incredibly depressing and slow with some light piano- people are wondering where they’re going with it. Then the tune turns & the tempo starts to quicken a bit, but the lyrics are absurdly dark and nonsensical- making the listener feel glum or straight up question what Freddy Mercury is doing with his life. A light guitar solo enters, temporarily putting people at ease (“ah, there’s a hint of the old Queen we’re used to”). But then the song stops completely and a snappy piano chord starts up & emerges (or what one would think to be) a completely new song, with a chorus & multiple tracks of Freddy Mercury’s vocals hitting your ears with a rock opera. Then the drums & guitar- & we’re off, head banging #WaynesWorld. That was a long-winded version of saying, I’m on the up & up. In July, my pops and I road-tripped up to Sonoma for the Vineman 70.3.. Being in good fitness I was stoked to hit the course with a slightly less daunting pro men’s field than what has become the norm of that race. Unfortunately, in the few days leading up to the race I had been fighting a flu-like cold & convinced myself I wasn't sick at all, but fatigued. After a poor swim and miserable 25 miles on the bike & I went into survival mode and “finished”. I don’t recommend running a half off the bike with a fever & feeling nauseous, but I’m glad I stuck it out. In August I flew up to Seattle to race the Lake Stevens 70.3 (sadly, the last time racing that race due to Ironman's pro race restructuring). Having just received my (much needed) new Cervelo P3, days before, I didn't have a rear race wheel compatible with an 11 speed cassette. My bud, Luke McKenzie, was gracious enough to send up his rear 11-speed 808 from Bend with Clayton Fettell. Being the absentminded idiot I am, I put the wheel on, not having a chance to ride & check it beforehand. Unfortunately, the conti tire Luke had on was thicker than the tire I had on my training wheel and was rubbing into the frame (nobody’s fault but mine). 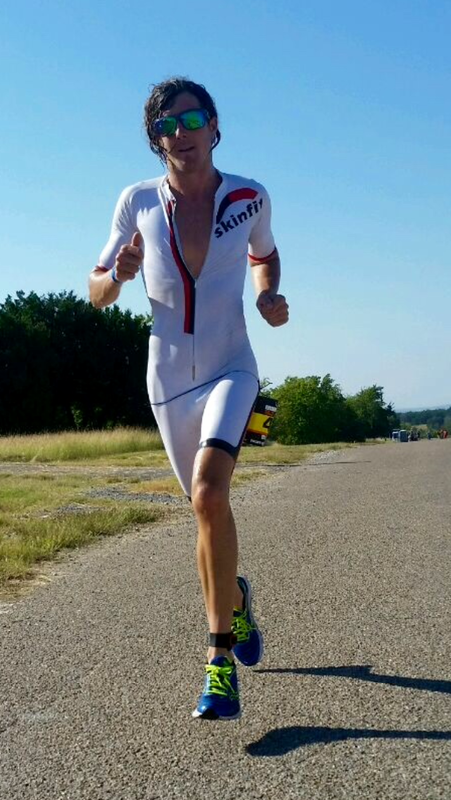 So a PR swim of 26:04 and a decent (yet unmotivated) 1:19 run was eclipsed by a bike split of nearly 10 minutes slower than what I posted the year before. Despite the wheel blunder, I managed a top 10 finish. Lake Stevens. Not sure why I'm so happy.Must be the lenses. 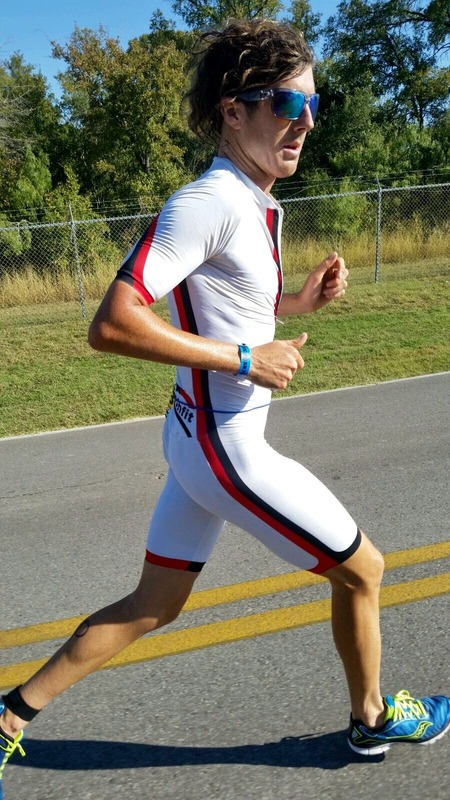 I noticed a lot of positive changes in my cycling fitness and run strength in early September. I’d like to credit this to a sizable cycling training block I did in May/June (thanks to the advice of Brett Clare) followed by a massive run block in mid/late summer (guided by Beth Gerdes). In early October, Mark Barber, Jen Ward Barber, Jen’s parents (Don & Sherri), Mitch Hall, Lucy Hall, Katya Meyers, Payton Douglas, Reid Butsko, my parents & I took the #VictoryVan out to a house on Lake Las Vegas for the Silverman 70.3. 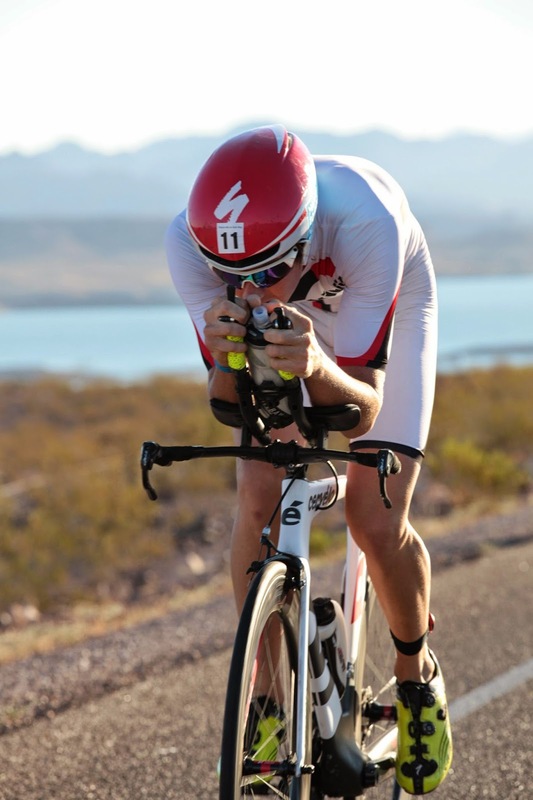 Having been familiar with the 70.3 World Championship course, I knew that the bike course was slightly tailored to my cycling strength (lots of steady climbing with middle range gradients).The swim course was moved from Lake Las Vegas to Lake Mead and the bike course was altered accordingly (which included a significantly increased amount of climbing, especially right out of T1). The run course remained the same 3 lap, 2 mile uphill-2 mile downhill, grind. After a toasty wetsuit swim in Hot Tub Mead, I exited the water in a good size pack, 2-3ish minutes down on the lead group. After the 1st couple miles on the bike, I decided to take the reigns of our little 4-5 man group and turn up the pace a bit to shake off the clingers. Tom Lowe rode by me on a flat section around mile 5 and I did my best to stick to his pace for the next 15 miles. That dude is a powerhouse on the bike and the only reason I could hang in the vicinity was the climbing. After enough time was put into me on descents and flat sections I realized I was in noman's land and there was no point to do so when two strong cyclists, Thomas Gerlach and Steven Kilshaw, were riding just a bit behind me. Joined up with them and we cruised the remainder of the course together. On the last aid station, Kilshaw was in front and sat up to toss some of his bottles out. 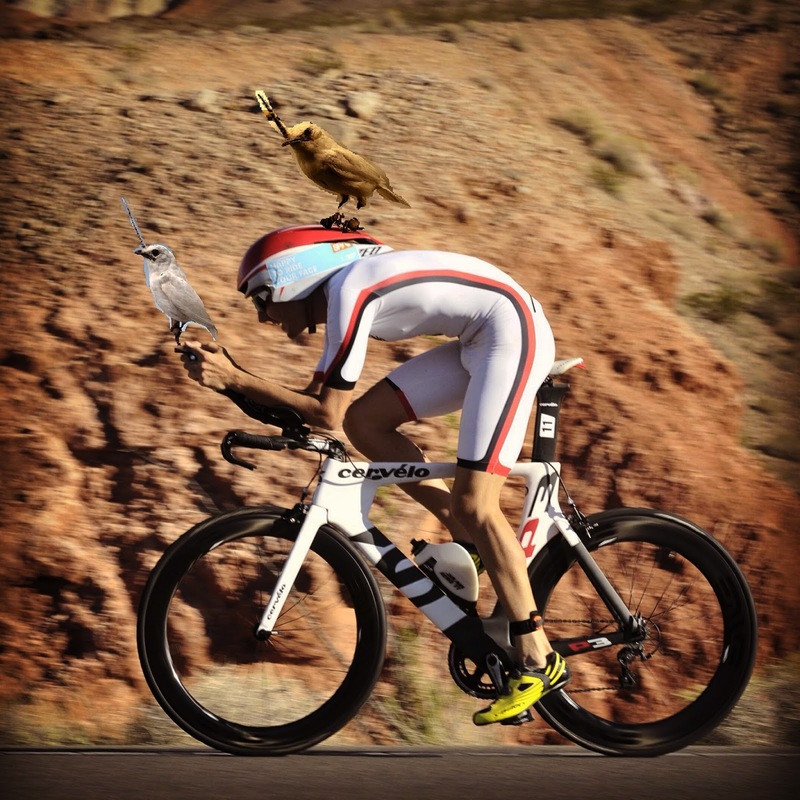 I was still in my aerobars and rode too close to him going into the aid station. Not thinking, I backed out to the legal spacing. Stupid me for not knowing the rules that if you enter a rider's draft zone, you HAVE to pass. Well, I got a lovely 4 minute penalty for that, which I’m not arguing about, I’m just pissed at myself for not paying attention in the moment. Upon hitting T2 in 2:30, I sat, angrily, in a penalty box, besides transition for 3 minutes and watched Thomas and Steven hit the run course together in 3rd and 4th place (as well as another dude, a few minutes later, passing for 5th). After a pity party and a bit of childish behavior in T2, I started my pouty run. Somewhere around mile 3 or 4, I decided that not all was lost and I could still have a decent run. I ended up in 6th at the end of the day, which was disappointing, but a step in the right direction. Payton, putting on the finishing touches. I’d be lying if I said that the Austin 70.3 wasn't on the top of my mind every day following Silverman. 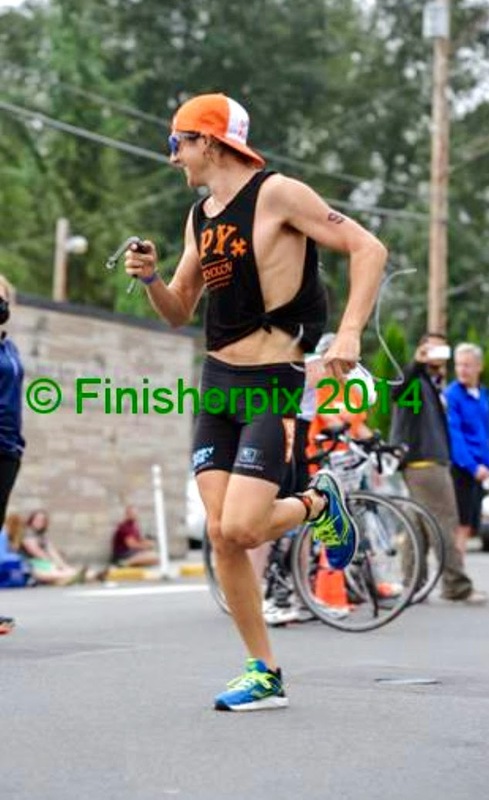 I knew I had fitness, just needed a race where something uncontrollable didn't bonch up my scene. With a 2 gallon zip-lock bag jammed full of Harmony Bars, a bandanna (to fight off Ebola in the airport, like a Cowboy would), and a mean hankering for BBQ, I flew off to one of my favorite cities and met up one of my best buds, Brian Wrona (I didn't actually follow thru with the airport bandanna idea in fear of looking like a hipster terrorist). My friend and fellow pro, Katya Meyers also flew out the next day to join our party at Wrona’s pad. Our pre-race dinner of chip & salsa with 2 beers really hit the spot and Sunday morning I knew I was ready to shuffle the deck. The swim started awkwardly with all of the pro men standing on the beach, unaware the race was starting in 30 seconds.. It was an in-water start and the start buoys were roughly 30-50 meters off shore, so.. slightly haphazard beginning to a race. Nonetheless, after the initial splish-splashing about, I found the feet of Chris Leiferman, who had a good pace going, and I got comfy. Exited in mid 26 with another good sized pack of dudes. T1 was a tough one, but not as tough as the bottom of my feet, unfortunately; lost way too much time plucking thorns out from underfoot. Having T1 located in the middle of a brier patch isn't ideal but it could probably be passable in future years by maybe adding some carpets, tarp, I don’t know… anything? Got on the bike and jammed the 1st couple miles to catch up to a little group of some stronger cyclists that had formed while I was mucking about in T1. About ½ way thru the course I realized that I was having a good day and the energy was there, I just kept telling myself to not do anything stupid to screw up the vibe that my legs were throwing out. Our group had caught 3 dudes that got dropped from the pace that Kevin Collington and Chris Kemp were setting, up front. In the last 4 or 5 miles (at least from my seat) the pace quickened and the group started turning it up a bit. I ended up 5-10 seconds back from the group coming into T2 with a time of 2:14 (which, on the new and extremely rough course, I was pretty happy with) . Maybe it was nutrition, maybe it was me not paying attention during a surge; I’m not sure, but I was a little bummed to start the run just behind everyone. My legs weren't all there during the run but I had the energy to hold a strong pace the whole time. Went from 8th to 7th and ended the day with a 1:19 run and finish time of 4:03. Happy, mostly because I've finally got the chips to play with the high rollers rather than playing a lonely game of solitaire, off the back. That’s the feeling I've been craving and the main reason why I wanted to race with the big boys. I’m really looking forward to taking a little break then getting back at it this winter and prepping for a big year in 2015. Big thanks to all the awesome people and sponsors I've had help me this year.. Spy Optic, Harmony Bar, Stone Brewing Co., Xterra Wetsuits, Nytro Multisport & my awesome family and friends.